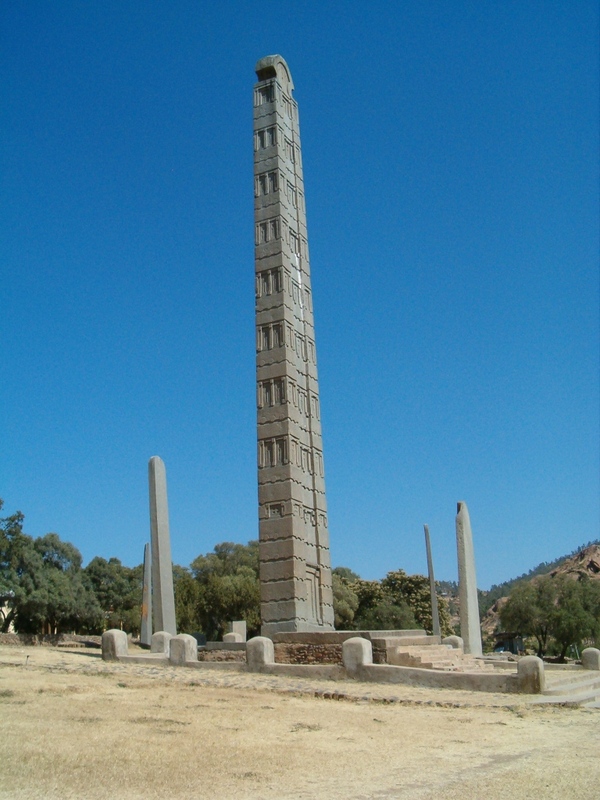 I've been wanting to post this but didn't get any time.There is a common misinterpretation of African Civilizations coming into existance from foreign intervention.Most people whether they are historically biased or unknowingly sympathetic towards African History have thought there has never been a structured civilization in Africa as of beoore BCE not true . Of course most of Africa were simple tribal groups but to think there was never not civilized structure indengenous in a certain area is incorrect. When you think of Europe before the Roman and Greek civilization it was predominantly pastoral living although they were a few towns in the Gaulic region before BCE. The Soninke people of ancient Maurentania were able to build 400 stone structured settlements before they organized into a Union Confederacy and even battled with a foreign invaders who possesed up to date weaponry of the time so, they did have some knowledge of warfare. . The Ghana Empire is believed by many to have been a continuation of the cultural complex at Tichitt-walata attributed to MandÃ© people known as the Soninke. Subsequent incursions of Berber tribes, however, collapsed the earlier socio-political organization in the region and established small settlements in the area known as Awkar, around the middle of the fourth century. Around 750 or 800 AD however, the Soninke adjusted and united under Majan Dyabe Cisse or Dinga Cisse in taking over Awkar. 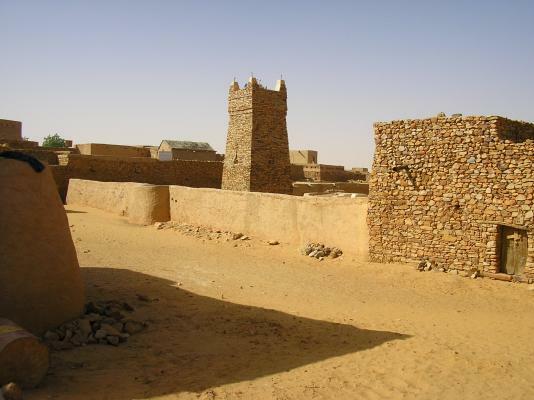 These were built on the rocky promontories of the Tichitt-Walata and Tagant cliffs of Mauritania where hundreds of stone masonry settlements, with clear street layouts, have been found. Dating from as early as 1600 B.C.E., these towns had a unique four-tier hierarchy and tribute collection system. This civilization began to decline around 300 B.C.E. with the intrusion of Berber armies from the Sahara, but with later reorganization and new trade opportunities, the Wagadou/Ghana Kingdom arose. There hasn't been enough archeological excavations in these regions due to civil wars,unwilling interest and the money it would cost.But what would the archeologist find if they did dig there. Meriotic scipt which is undeciphered. There was Logographic symbols of Akan people,seemed to hold substance,but it wasn't really a writing system.The ancient soninke people were able to be blacksmiths,carpenters,metullurgist ,and Masons nonetheless. It was known that the Mayans had writing. In the 1500s, the priests clearly referred to the 'books' and 'writings' that were being destroyed. For instance, in 1540, Alonso de Zorita writes writes that he saw Mayan books which â€œrecorded their history for more than eight hundred years back, and which were interpreted for me by very ancient Indiansâ€�. In the early 1700s, Francisco JimÃ©nez translated the Popol Vuh into Spanish. It would be pretty difficult to do this, if he wasn't aware that it was a script. In the 1800s, they were referred to as hieroglyphs. Mayan script is not merely a pictographic system. A pictographic system contains only symbols that represent objects. For instance, a picture of a bird, to mean a bird. A logographic system uses symbols for words and abstract ideas, not just objects. Mayan is a set of logograms but it is also complemented by a syllabary, that is, symbols that represent sounds (syllables) rather than words. You could spell your name in Mayan, provided the syllables existed in the Mayan language. Many do not consider pictographic systems to constitute a writing system because there is no clear dividing line between a pictographic system and people just drawing things. Not really ... the Celts actually invented the iron plough, which was adopted from them by the Romans and Greeks. They were very much an agrarian peoples. There was quite alot of agriculture all over Western Europe before the arrival of the Romans. Agriculture was practiced in central and western Europe from about 5000 BC on (a little later than Africa). Agriculture doesn't necessarily mean cities etc. For instance, corn was widely grown in my corner of North America before the arrival of Europeans, but the settlements were relatively small and not permanent (they would move to a new location every 10 years or so, to let the soil replenish itself). Pre-urban cultures are far more interesting and complex than people realize. There were confederated alliances locked in titanic power struggles, groups maneuvering to control lucrative trade routes, technological advancements and sweeping changes caused by the introduction of them (for instance, agriculture, or copper), and so on - all the things that make history so interesting are there. They're just obscured. I never knew that the Berber invasion of Central Africa was as early as 300 B.C. Due to my ignorance I always thought at up until the Islamic age, the contacts between the 2 sides of the Sahara was limited to few commerical caravans. Did any of these ancient stone cities leave any ruins that can still be visited today? If pictograms are not considered writing, then "Chinese" wouldn't be considered as writing; yet no one doubts the literacy of China; even praising it as one of the earliest literate civilizations. They are similar to logographic systems with syllabaries. They are sometimes referred to as sinographs, because they are beyond being merely logographic - each character representing a phonetic morpheme, not just a word. Most words are comprised of two or more morphemes. Mayan script is not merely a pictographic system. A pictographic system contains only symbols that represent objects. I'm not sure where I read it, it could have been the Inca or Aztec but it was proven wrong. There was also a time when it was said the Inca and MesoAmerican civilizations didn't have any contact. We all can think different of these civilizations now, there are even some stone settlements found in New England or so I believe ,that historians have claimed that Native American could't and would't have built in stone, but they would eventually be proven otherwise. Not really ... the Celts actually invented the iron plough, which was adopted from them by the Romans and Greeks. They were very much an agrarian peoples. There was quite alot of agriculture all over Western Europe before the arrival of the Romans. Agriculture was practiced in central and western Europe from about 5000 BC on (a little later than Africa). Agriculture doesn't necessarily mean cities etc. Sorry I did not mean to imply they didn't possess farming capabilities, but I really meant to touch on the ancient towns of Germania and Gaul,and what technologies did the Celtic possess. I know of the Britons being advance in certain aspects and there are some stone settlements in Great Britain dating to 300BC there if I'm not mistaken . Europe before Rome, Africa, the Americas before the Europeans arrived - they are all very interesting in their own right and do not need to be regarded with reference to cultures like Rome to be appreciated. In fact, it is likely that if you use Rome as a yardstick, you are cheating yourself of being able to appreciate many interesting features of these cultures. Right but my point was that the Germanic and other tribes didn't really organize into socio Civilized structure.Whereas Soninke is a continiuom of the of the old settlements and culture in that region,as opposed to the the Skara Brae settlements. There really was no unity among most Gemrnaic tribes ,they only banned up together in times of war. After the fall of Rome, Pope Gregory was the de-facto Emperor Pontifex Maximus and every king in Europe aspired to be like the Ancient Emperors such as Clovis,Frederick Barbossa,and Charlemagne.They were always excommunications done by the Church and state. I'm not to sure about the other Eastern European kingdoms but as for the that Kaizers,Czars,and Kings in Western Territory ,aspired to be like the ancient Romans and Greeks.The philosphies of Demosthenes and Aristatole were always revered,but other cultures did not inspire all of Europe as Greece and Rome. To be honest, I find Rome almost totally uninteresting. It just doesn't appeal to me. I would much rather study pre-urban civilizations. Unfortunately, they are difficult to know because of the lack of writing and archaeological evidence. They are certain things I find interesting about Rome such as the Figures Censor Appius Cladius dealing with extended citenship,Licinicius partaking in finding a better system landowning,Spurrius Cassius new proposal to the Romans of Land owning,the greed of Cato and his Iron fist reigning on his subjects overcoming any resistance and so on. Figures such as Tiberius and his brother Gracchus can have parrell undertones to political situations today such as JFK and Robert Kennedy. We also must not forget the part Rome played in Christianity how alot newly accquired land annexed to the empire were ceded to emeperors by Greek Satraps,the struggle between Plebian and Partricians,and of course the role proletariats. Right the Mayans and Indian civilzations in the time of the Rajas seem to fit this descripition. http://www.walata.org/eng/conoce_historia.htmThis is known as the Dhar Tichitt-Walata culture, a unique neolithic culture dating from between BC 2000 and the third century BC. No less than 400 settlements, some of them complete cities, made up this group of towns. Iposted this in another post,about Nok culture who some say are related but the Nok culture have way different style of architecture. Descended from ancient Central Saharan people, akin to the Bafour or Imraguen of Mauritania, the MandÃ© are an identifiable people spread throughout the western Sahel. They are known as having been among the first on the continent to produce weaved textiles (by a process known as strip-weaving), and as the founders of the Ghana Empire and Mali Empire, as well as being responsible for the expansion of the Songhai Empire empire across West Africa. However, archaeological testimony also supports that they were among the first peoples on the continent, outside the Nile region, to produce stone settlement civilizations. These were built on the rocky promontories of the Tichitt-Walata and Tagant cliffs of Mauritania where hundreds of stone masonry settlements, with clear street layouts, have been found. Some settlements had massive surrounding walls, while others were less fortified. In a deteriorating environment, where arable land and pasturage were at a premium, the population grew and relatively large-scale political organizations and, ultimately, military hierarchal aristocracies emerged. With a mixed farming economy?millet production combined with the rearing of livestock ?this copper-based agro-pastoral society traded in jewelry and semi-precious stones from distant parts of the Sahara and Sahel. In the words of one archaeologist, these abandoned sites represent ?a great wealth of rather spectacular prehistoric ruins? 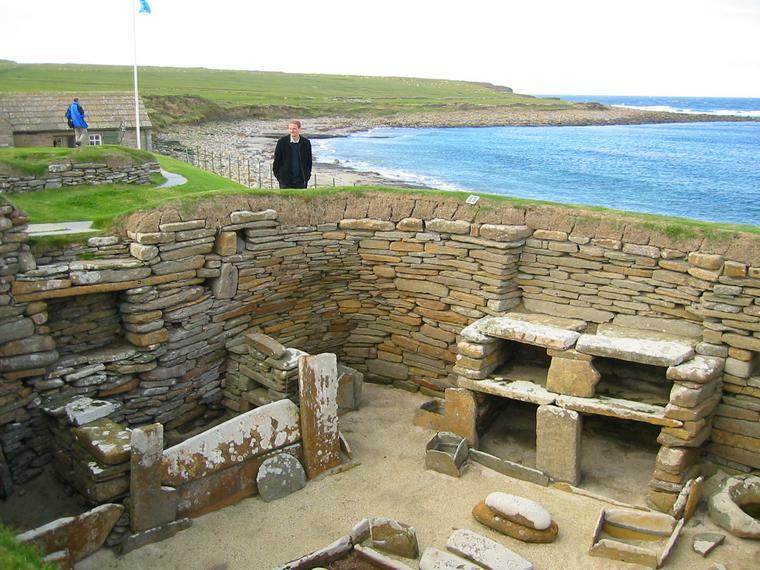 and ?perhaps the most remarkable group of Neolithic settlements in the world? (Mauny 1971: 70). I would't blame you so do most PH.D historians also share the same view. The Ghana kingdom was called the Land of Gold. I'm not sure in ancient times were gold mines were the diamonds in the ancient world were mostly from India. The ancient Egyptians got alot of their gold from Nubia,and so you can see were the supply of gold came through the Western Sudan(Savannah). Interesting enough even today you do not see that much gold in Europe or Asia heres a map below of the current gold mines in the world today. Yes they are sites that are assigned to the UNESCO World Heritage Organzation,so I'm sure you can visit if you want.